This past Sunday at church, a verse punched me in the face. 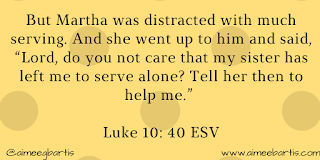 Jesus was visiting Mary, Martha and some friends. Mary was sitting at her Savior's feet. Martha was running around doing 'stuff'. 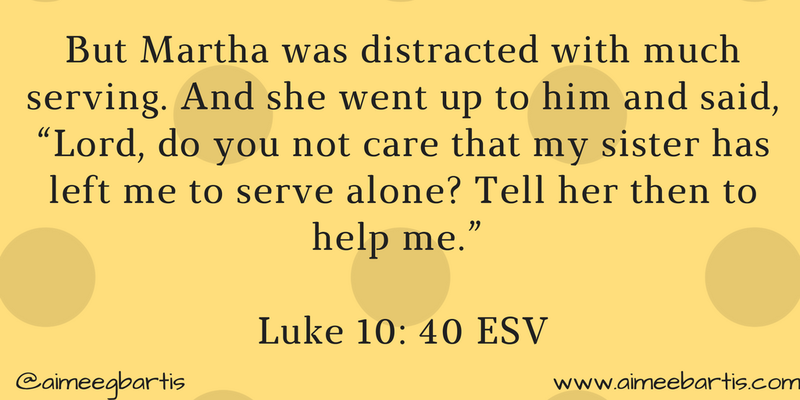 After a while Martha complained to Jesus - tell her to help me! 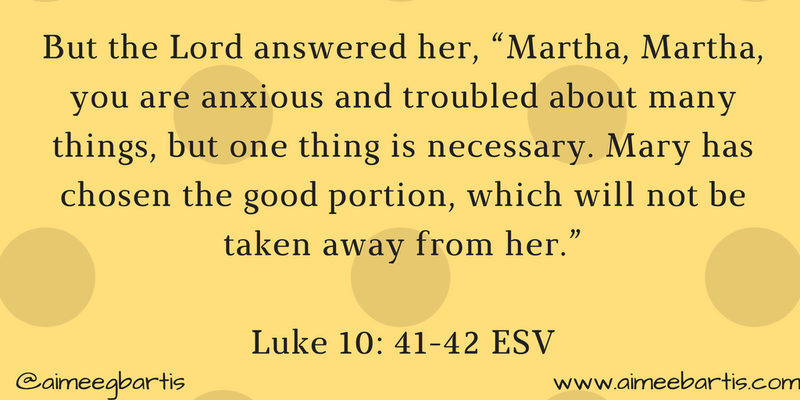 Jesus' response is not what Martha expected. Over Christmas break, I had a mommy meltdown. I spent the first week of the break running around getting ready for Christmas. Then I spent the second week doing all the after Christmas chores. I didn't rest. I don't feel like I spent a lot of time with the boys. Especially not that first week. I asked Ryan, "How do you think the boys will remember me? 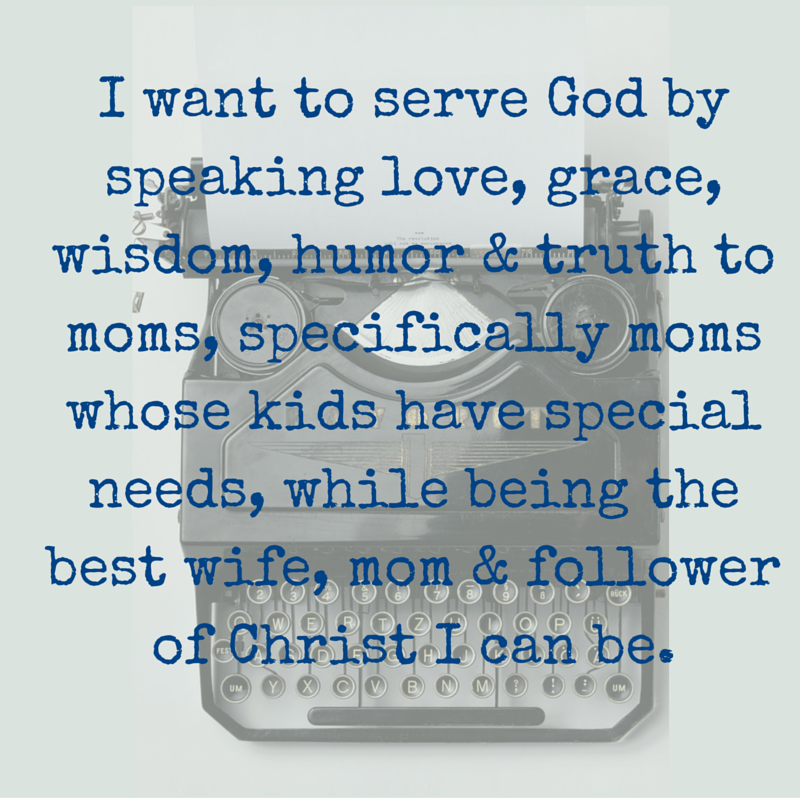 As a good momma or as someone who was just always running around doing stuff?" Ryan was very sweet and tried to reassure me that I'm going this momma thing ok. But I couldn't shake it. I asked Sam about it. He said, "well, you're doing stuff for us." But did they want that 'stuff'? I still don't know. I have been a momma for over 16 years. I've worked that entire time. I've never not worked. I like working. But this year has been hard. This is the first year that I've felt guilty for working. Teenage boys are tricky creatures. They don't want to talk when you're ready to talk. They don't want to come in from football and spill their guts. They wait until you're gathering dirty dishes from their room to start a big conversation. Except it's disguised as a banal question. I want to be ready for those questions. I don't want to be Martha running around doing stuff and missing the moment. I want to be Mary. I want to be ready to listen and learn. I've learned this in my walk with Christ. I work really hard to not do Christian things. I do work hard at being a Christian. See the difference? Christian things are things to mark off your to do list - read my Bible, pray, go to church. Check. Check. Check. Being a Christian means being in a relationship with Jesus. When you're in a relationship, you want to learn more about the other person, you want to spend time with them. It's not a checklist, it's part of your life. I'm working on it in my momma-ing. Letting things go so I can wait for the boys to be ready to talk. Working on being really present with them. Working on it. You can see this past Sunday's sermon here. 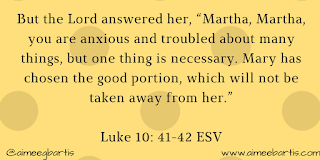 We are in week 4 in a series on Grace.